In this book the author, Brendan McManus SJ, writes about his personal experience as a pilgrim on the medieval pilgrimage route, the Camino de Santiago. 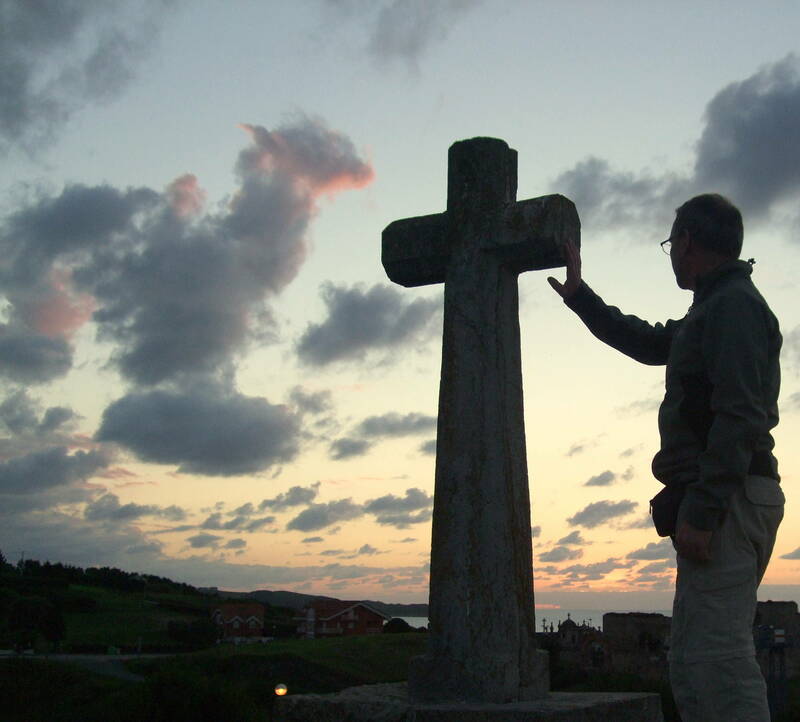 He is not just a Jesuit priest walking an ancient trail, but essentially a person grieving after his brother’s suicide, trying to make sense of life and faith. Undertaking the entire 500 miles from the French border, Brendan walks for forty days on the grueling northern coastal route, which roughly equates to climbing a mountain a day. In this searingly honest human and spiritual search, the author is confronted with his limits and faces failure several times. Feeling his raw humanity and frailty on the hard road is a humbling experience of limitation and he is sorely tempted to abandon his quest. However, this is a God of the unexpected, and after many trials and tribulations he reaches his planned destination, Santiago de Compostela. Bringing his brother’s t-shirt to the altar at the high pilgrim mass, he thinks it’s all over and wants to collapse, exhausted. But the best is yet to come. In a chance encounter with a fellow Jesuit, he reluctantly joins him going out by bus to Finisterre (meaning literally the ‘end of the world’) on the Atlantic coast. A simple unplanned ritual becomes a cathartic release of his grief, agonizing but ultimately freeing. After bathing in the sea he feels like a new person- evoking images of baptism and new birth. He returns home free of his burden and at peace for the first time since his brother’s death . In many ways this is an anti-hero journey, full of paradoxes. The unwritten rules for Camino ‘heroes’ are: walk long and hard, stay in hostels every night, walk through the pain, take no buses, and pride yourself on finishing. 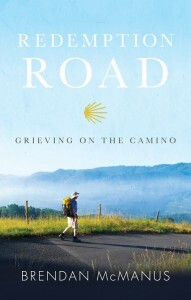 The author ended up breaking all these rules: the faster he went the more injuries he picked up; the pain of various injuries forced him take the bus on occasion; caught between stages he had to stay in boarding houses, bars and even a garden shed; the more he tried to control the Camino the less it cooperated. Paradoxically, however, the more he was able to surrender, often at the edge of his abilities, the more he was given by God. He learned the joy of trusting and putting faith in the goodness of people. Equally, for the author, what seemed to be a failed Camino attempt was unexpectedly transformed by a higher power. In an eleventh hour ‘deliverance’, it all comes to a final, dramatic, cathartic conclusion at Finisterre’s Atlantic cape. Recovering from the anticlimax of finishing in Santiago, he dramatically finds himself letting go of his brother two days later in Finisterre and passing into a new freedom and life. What should have been disaster is transformed through God’s action and love or grace; ironically, this amazing grace is found through failure and surrender, not through toughing it out.